The L.O.P.E. 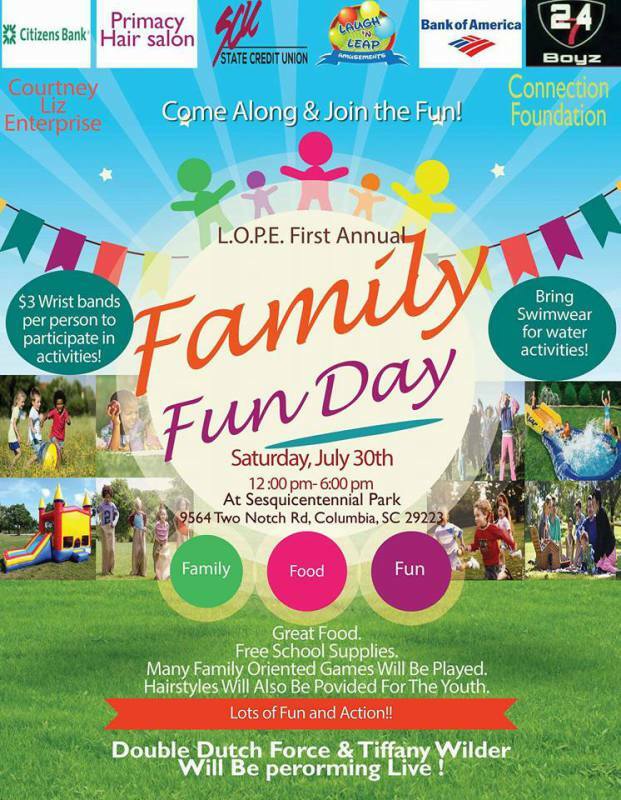 (Living On Purpose Everyday) Foundation will be hosting its first annual Family Fun Day being held at Sesquicentennial State Park. This will be a FREE event to the PUBLIC. There will be loads of games and activities for adults and children alike. We will be giving away free hair cuts and styles to the children as well as school supplies for back to school. There will also be refreshments as well as a grand prize raffle. Don't forget to bring your swimwear. The fun starts at 12pm. See you there. 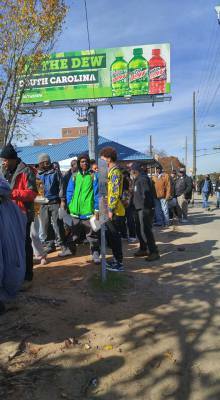 FREE haircuts & hairstyles for youth!!!! Full kitchen staff on-site selling dinners and cold drinks!! !